Aligning your L&D strategies to the way your people work and learn? Need a quick road-map to meet the rapid pace of digital learning? Amid growing priorities and rapid constant change, AI is emerging to offer intuitive solutions that transform your learning processes, creating digitized, innovative experiences to keep your workforce future-ready. 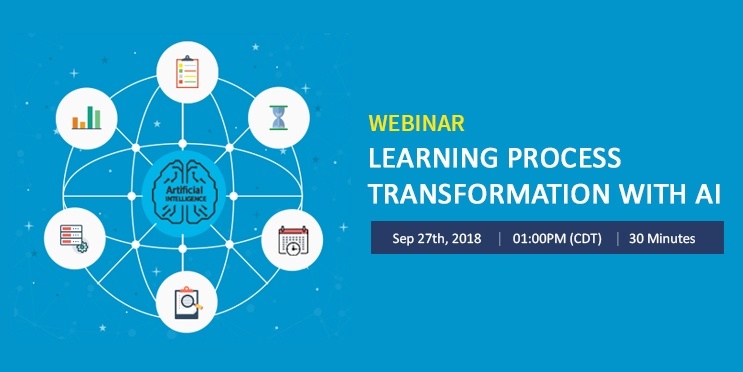 To help you realize the fullest potential of how AI can drive efficiency in L&D, we will present a webinar on Learning Process Transformation with AI. Build targeted learning strategies based on user interests.